My name is Anna and I am a Spiritual Clairvoyant. 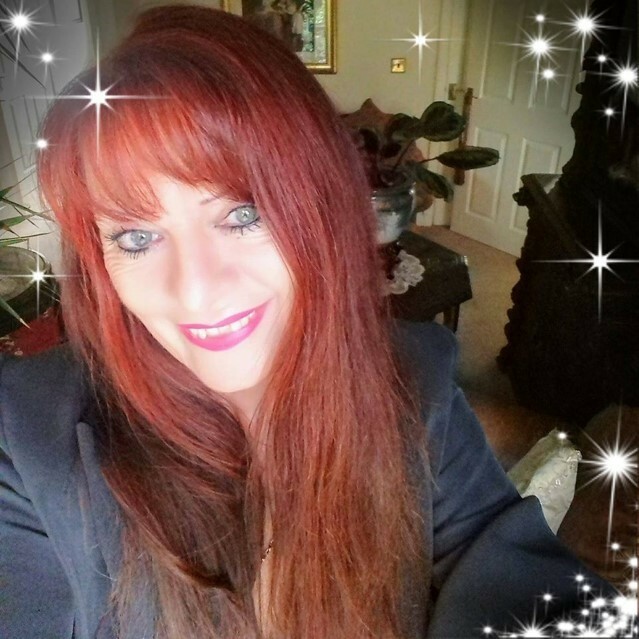 I have been working online, as a professional Psychic Tarot reader for the last 18 years, providing insight and guidance in peoples lives. I'm very down to earth and able to communicate effectively, ensuring that you as my client, will always receive clear, open and honest answers to your questions. My Clairvoyance is literally a meaning of 'clear sight'. It allows me to 'see' images, or events, from your past, present, or future. I can also ‘hear’ information. I have developed this skill, gaining an understanding of the difference between information that is coming from myself and information that I am receiving from Spirit, or my Guides. Sometimes I may 'feel' information. I might get a particular kind of sensation, that relates to other information that I am getting in an area of my body. I am empathic, 'picking up' on how you are feeling, in very specific terms. I employ the use of Tarot cards, which I interpret Spiritually with Psychic intuition. I love reading for my clients, helping and guiding them into seeing that every aspect of their lives, has been created by the choices they have made, as creators of their own realities. Decisions made from ego, result in chaos, unhappiness and hurt. An understanding of your inner-self, which is the real you, this will help you to manifest abundance, happiness and success. So helping you to develop a deep sense of self awareness and helping you to learn to master both your mind and your emotions. By letting go of limiting beliefs. and recognizing your power to manifest. Wisdom reminds you to listen to and be guided by the Universe. Then all areas of your life will evolve perfectly. When giving you a Tarot card reading, I am also helping you to act consciously which is for your highest good. I have a very encouraging, positive nature and a kind heart. I do not expect favors in return, my kindness is selfless. I am never possessive or jealous. My life is based on a 'live and let live' policy. I am a excellent conversationalist with a good sense of humor but I tend to speak the truth and don't hold anything back. I do not like mind games. I am very straightforward and I expect it in return. Deep inside of me is a belief that no matter what has happened, something good is always around the corner and the sun will always shine again. One of my sayings is “Nothing is permanent in life, only change”. I just want to explore the world and not fret about my emotions and my feelings, that’s me. I am on this planet, to gain wisdom, learn and explore. Boredom can be one I fear and instead of facing it, I will up and leave in search of something more stimulating. I don't dwell on any hurt because it is a waste of my energy. I am not an emotional person, but can be easily hurt by the careless selfish actions of others at times. I have a very strong mind and will turn it around pretty quickly, I always let go of the past and work in the now! When I was young and growing up. I would play by myself in the garden. It wasn’t a very well looked after garden, but there was a place in the garden where I would always play, which was by some lovely flowers and I had made a little home of sticks and stones. That is where my first contact with beings of light occurred. As far as I know, I was the only one that ever saw them. They would come around me when I was playing and kept me company. The number of these creatures is still unknown to me, because there were new ones appearing all of the time. Growing up as a teenager, I was about fourteen when I saw my first Ghost. I was on holiday in Wales, walking up a lane one day with my Auntie. We saw a young Welsh girl who was about eighteen, dressed-up in the Welsh costume from days of old. She watched us from a fairly close distance then went around a corner. We followed her and as we turned a corner, there was nothing there, only a broken down big old house, more or less flattened to the ground and she was nowhere to be seen. Later on then in my life I was hearing voices very clearly in my left ear. One time I heard a beautiful voice that said “Miracles Miracles” which blew me away, it was so loud!……. my senses of seeing and hearing were very strong. Listening to my Higher-Self, listening to my Heart and also listening to my Spirit Guides, transforms the messages I am receiving, to give them understanding and balance. Memorable experiences are many. Helping and guiding my clients, is an experience that I never forget. I send them all love and light. Sometimes one of them might come back into my mind, I sit in my own space and gently work with them, sending them absent Healing and work on my visions of them. Also, if I feel they need me, I work with my thoughts about them and usually they will contact me. I am a Spiritual Healer (BSYG certified spiritual healer). I work with people and animals. I was given this gift from the contacts I have with the Universe. I also work with ‘The Universal Law of Attraction’, which is the most powerful Law of the Universe and you must understand it, before anything else will be of value to you. Everything in your life and the lives of those around you, is affected by the Law of Attraction. It is the basis of everything that you see manifesting around you and comes into your life. One of my beliefs is, ‘The Cause of the problem must be understood and Healed, to remove its energy which may be effecting your life in the here and now’. Meditation is very important to me. When you still the chatter of your mind, you enter the silence where all things are known. Connect to the Universal consciousness and synchronize with your infinite potential. Here lie enlightened answers, which will enable you to act with certainty and a deep knowing. Your decisions become wiser and your joy is very likely to spread and effect others. Completely brilliant - speechless ???? lovely lady - answered all my questions and was completely spot on with it all ... I’m lost for words, brilliant - thank you for a true reading ....made simple clear and completely correct thank you. The depth this lady took my reading too was outstanding.. many thanks Northern Gemini ???? She was absolutely wonderful, she gave me an accurate reading and I was so pleased with the way it flowed. She is the real deal and does not talk about things which are irrelevant. Big hugs ???? Fab reader. Very straight down the line and no sugar coating with her answers and spot on clarifications . Great to talk to and a very good listener. .. One of the best I've had the pleasure to talk to on here.